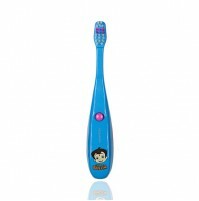 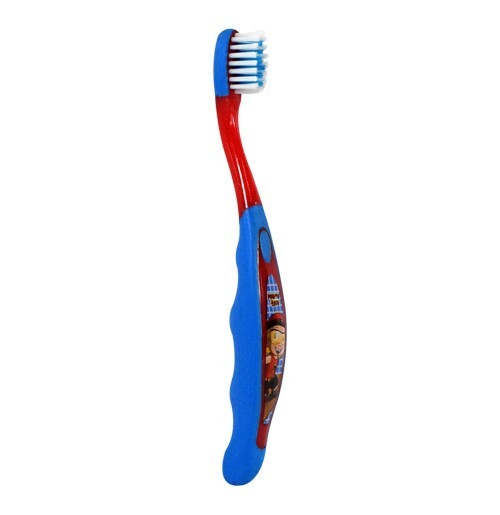 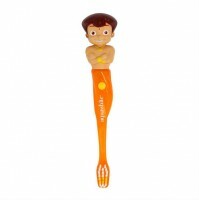 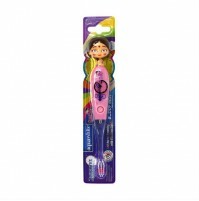 This toothbrush is made with a unique shape and super-soft bristles for comfort and safety during use by the child. 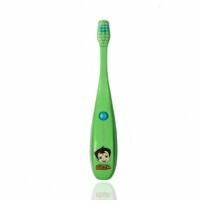 The slender neck can access difficult to reach areas in the mouth of the child. 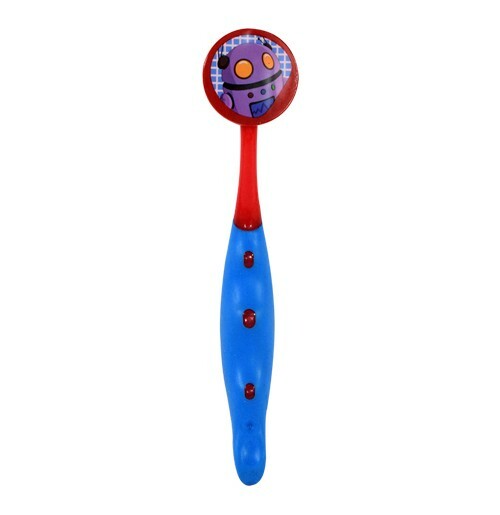 The rounded, Oval, slightly wide handle gives your child the perfect grip with a cap!